An active pianist-conductor, Teresa Tang is the founder and conductor of Mellow Singers (Toronto) and Hong Kong Ardent Chorale. She studied solo piano with renowned Georgian pianist Marina Mdivani at McGill University earning a Bachelor of Music degree, and received her Master of Music in Conducting at University of Toronto. She was the Assistant Conductor of the MacMillan Singers and the University of Toronto Women's Chorus, a recipient of the honorable Bruno Walter conducting scholarship and the Hong Kong Children's Choir Education Scholarship. Ms. Tang's commitment to performance-based music education is manifested in her collaboration with the Pentecostal Lam Hon Kwong School (HK), where she was invited to develop a high school choral education programme with great success. She was a conductor at the Hong Kong Children's Choir, and has presented choral workshops and piano master classes in Hong, Toronto and Montreal. An advocate in lifelong learning, Teresa was a music lecturer at the University of Hong Kong School of Professional and Continuing Education and the Hong Kong Sacred Music Commission. Born in Hong Kong, Stephen Wong was trained at the Royal College of Music in London, the United Kingdom and received Master of Music at the McGill University in Montreal , Canada. His teachers include Tu Yue Sien, Margaret Lynn, Patricia Carroll Ruth Gerald and Dale Bartlett. Wong was awarded the Jardine Matheson and McGill music faculty scholarships. He was the finalist in the Hong Kong Gina Bachauer Competition in 1985 and London Royal Overseas League in 1986. Between 1995-1999, he taught piano, chamber music and as vocal coach at McGill music faculty. He appeared as soloist with McGill Symphony Orchestra, Les Grands Ballets Canadiens de Montreal and worked as a repetiteur for L’Opera de Montreal. Wong also performed in the Rome Chamber Music Festival in Italy, and in Asia including the Mainland, Macao and Taiwan. He is a much sought-after pianist for both solo and ensemble concerts ,collaborating artists including pianists Kawai Chan, Josephine Cheung, Amy Sze and Verna Yeung , vocalists Ella Kiang and Nancy Yuen, clarinet player Martin Choy, The Learners Chorus and Ella Kiang Singers. He has also been invited regularly to record for Radio 4, The Radio and Television of Hong Kong . For 2017, he was invited to perform in July at “Art , Culture and Music at the Airport “ co-presented by Extension and Continuing Education for Life of The Hong Kong Academy for Performing Arts (HKAPA) and Hong Kong International Airport and was presented by Hong Kong Leisure and Culture Services Department (LCSD) in October under ‘Virtuosi’ series for a Piano Duo recital with Amy Sze. In June 2018 , he was invited for a solo recital with guest cellist, Ashley Ng at Killian Hall, Massachusetts Institute of Technology, Boston with great success. Wong was re-invited to perform in July at the HK International Airport Proms 2018 for three sessions and collaborated with Martin Choy, Kawai Chan and Nancy Yuen. Currently he teaches at music faculty of the HKAPA, Hong Kong Baptist University, School of Continuing Education and Professional Studies of The Chinese University of Hong Kong and The Education University of Hong Kong. 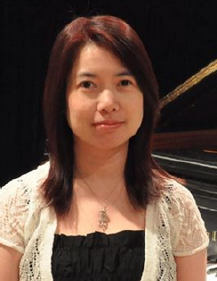 Wong has been adjudicating piano examinations, competitions and giving masterclasses , including Hong Kong Baptist University, Hong Kong International Institute of Music, Hong Kong Music Institute , and Lambda School of Music and Fine Arts in Montreal. 2018 also marks the 11th year of his successful piano students’ concert “Music and Friends”. Apart from being a concert artist, he composes and records music for movie soundtrack (A Tale of Three Cities, 2015) and participates in theatre acting, dialect coaching and voice-over for movie productions.